Eat cake to help cats like Tink. Raise funds for the National Cat Adoption Centre can be as simple as hosting your own tea party... with cake. 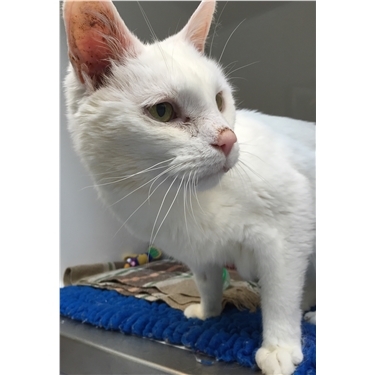 Tink, aged 15, wants his forever home. He wants somewhere he can have his own space. Maybe a garden to potter in, and a home where he can live out his golden years with love, kindness, safety and warmth. Tink lives in our specially designed enrichment room, where he can look out onto our enrichment garden, watching the wildlife and even visit the garden to enjoy special plants to draw them in. If lucky, he can even see birds and squirrels visiting the feeders. In his room, Tink has lots of opportunities to climb or to hide. Suncatchers create interesting reflections on the wall to give him added stimulation in his day. Why not host your own tea party and raise money for Cats Protection.